In terms of cost, buying a new car is right up there with purchasing a house or going on a fabulous international vacation. As one of the biggest purchases you’ll make in any five to ten-year time span, it’s important to research all of your options. 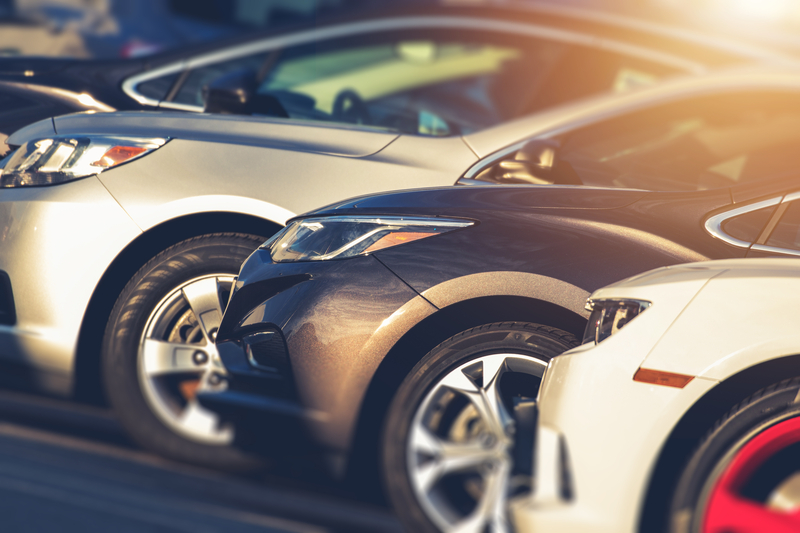 While there are many benefits to buying a brand-new car, pre-owned vehicles are a fantastic option that may get you more bang for your buck in the long run. Read on for our top seven reasons why you should think about getting a pre-owned car. New cars depreciate almost immediately. Luxury cars especially take a steep nosedive in value once you’ve driven it off the lot. If your new car is going to lose $10k or more in value within five years of purchase, wouldn’t you rather be the second owner? After the initial depreciation, cars generally keep a steady value. This means that if you end up needing to sell your used vehicle, you will not lose as much money from the amount you initially paid. Up to 28% of the carbon emissions that will be emitted over the lifetime of a car happen during the manufacturing stage. Making new cars has a substantial environmental impact. Think of it as recycling. While a well-maintained older car may get less gas mileage than something high tech and brand new, there is a smaller environmental footprint to keep driving the old car since it already put out most of its emissions in that first manufacturing stage. New hybrids will hopefully help drive down carbon emissions in the future; however, their manufacture leaves a huge carbon footprint. Hybrids generally have two engines and run on batteries that are not eco-friendly. Check the lots of local used car dealers in your area for pre-owned hybrids. Surprisingly, in most states, car registration rates are not uniform. Newer cars command higher registration fees. This is because states use a formula based on the year, model, and value of your car to determine your personal registration fee. A little-known fact is that in the three to five years after the purchase of a new vehicle, the registration fees go down with the car’s depreciation. If you buy a pre-owned vehicle that is older than the three to five-year range, you could potentially save hundreds on registration fees. When you opt for a certified pre-owned car, you’re getting a vehicle that has been through a gauntlet of safety and quality testing. To get the certified distinction, the car must have a completely clean history as well as low mileage. The vehicle is then subjected to upward of 200 item checks to ensure that all parts are in good working condition. This rigorous inspection process makes certified pre-owned cars one of the safest bets on the market. When you purchase a new car, that purchase is subject to state and local sales tax. If you live in a state with a high sales tax rate, you’re looking at the possibility of adding several thousand dollars to your car purchase. In many states, however, pre-owned vehicles are not subject to sales tax at all. This varies by state but checks out your state’s laws. It could save you thousands. Many new car dealers will try to upsell you with features and customizations. While these add-ons can make your car easier or more pleasurable to drive or take care of, the dealers typically charge exorbitant fees. Since add-ons don’t increase the overall resale cost of a car, as a used vehicle buyer, you end up getting all of these features for just the car’s asking price. Another huge money savings by going with used. When you purchase a used car, if it is still under warranty, that warranty is transferred to you. If there are still a few years left on the warranty, this can potentially save hundreds of dollars. However, if the warranty has expired or will expire soon, it is possible to get an extended warranty on your used car. This gives you peace of mind and protects you from the costs of unexpected repairs. These are just a few of the many benefits to opting for a pre-owned vehicle. Besides the steep money savings, your used car is also doing its small part to help the environment. If you’re interested in finding the perfect pre-owned vehicle, come down to Reliable Auto Sales where you can test drive our wide selection of vehicles. We have served the Las Vegas area for more than 20 years and are the number one used car dealer in the region. We are honored to help you find your dream car. Previous story Should I Get a Loan for Buying a Used Car?